Spring Cleaning and Free Camping – Maine. Ocean. Camping. Every year we host an event that I believe is unique to Maine…we exchange free camping for help getting the campground open in the Spring. When you think about it, the weekend is a win-win for everyone. We get help picking up the millions of little sticks on the ground (remember the Nor’easter last week?) and raking the far corners of the Park; campers get to evaluate our campground without spending any money. We get the benches put out on the boardwalk and along the nature trails; campers get to meet people who come here regularly. These are the folks who will always tell the truth about vacationing in Searsport. 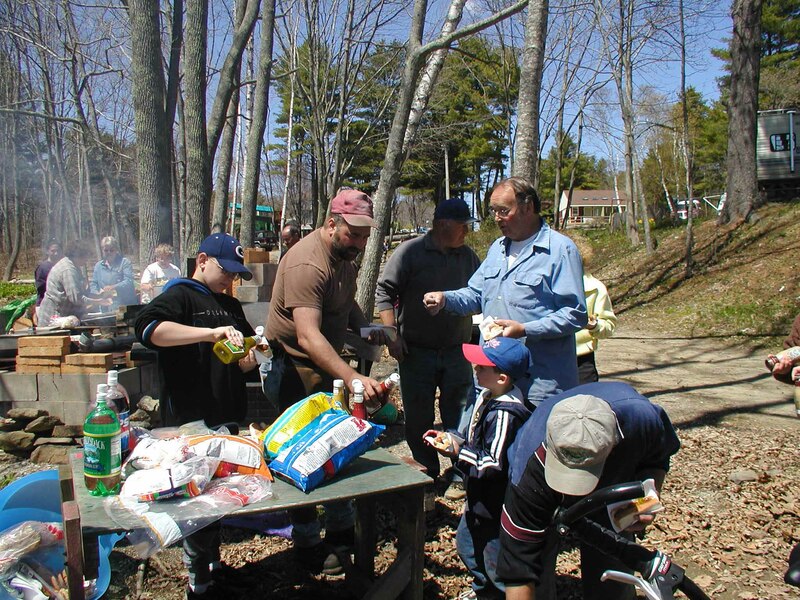 Finally we get help tending the bonfire and washing the windows; campers get to enjoy Saturday breakfast in the rec hall and a barbeque lunch at the beach. Saturday night we all share a potluck supper in the rec hall. It’s my job to provide some sort of amusement…it’s a task I take very seriously and I’m happy to say most years have been very entertaining. So when do we do it? Always the second weekend in May…in 2008 it’s the 9th, 10th and 11th. We ask people to call ahead because I can only cook for a limited number of people. The requirements are that you bring a rake, gloves, sense of humor and that you help us Saturday morning. Things are pretty relaxed. Children and pets get the run of the park. Basically we make a list of things that need to get done, ask anyone with special talents to fess up so we can take advantage of specialty skills and then everyone chooses their task…and I come around with cookies, coffee and hot chocolate…anything to keep the energy levels high! We’d love to have you join us if this sounds fun. Call me at 207.548.6059 so that I can save a place for you…bring friends! And pack layers of clothing…there’s no predicting the weather and like old vaudville, the show must go on! 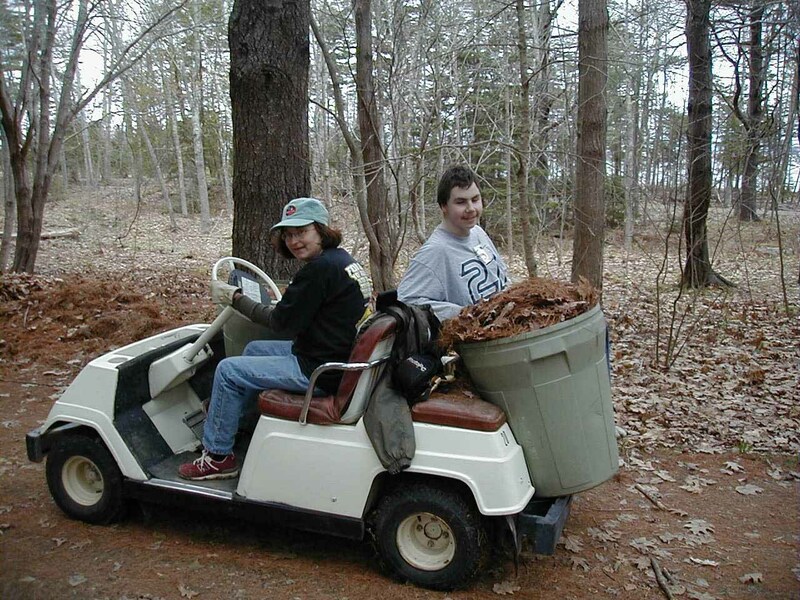 The first year Brian told me we were going to spend Mother’s Day weekend raking at a camp ground I thought he had either lost his mind, or had found a creative way to get out of shopping for a Mother’s Day gift. So with a very bad attitude I packed our ‘classic’ trailer and settled in to be completely miserable. Not being originally from Maine, I had no idea what the weather could be like on the coast, but this weekend it matched my mood…Gray and cold. And wet! It rained the whole weekend and the wind never stopped. But the hot chocalate was the best I had ever had. And I didn’t know you could make marshmellows from scratch. And I don’t know what was warmer, the fire in the rec hall, or Steve and Astrig’s welcome. This will be our third year at clean-up weekend and I wouldn’t miss it for the world. It has become my new “New Year’s”; All the things we love to do in the summer begin with this weekend. I have a new rake, and a lined rain coat (just in case) and promise to bring my grandmother’s broccoli and rice casserole to the pot luck. The bad attitude I’ll leave at home. That was a great weekend. Thank you for the invitation. The hot donuts Saturday Morning were the best! We had a blast raking all the campsites, and it was very peaceful. We didn’t realize how many muscles could hurt in your hand after we were done. It was all worth it because we didn’t have to cook all day and the hamburgers, hotdogs and homemade french fries were super and potluck supper was a pleasant gathering. We made new friends and we hope to see them next year. 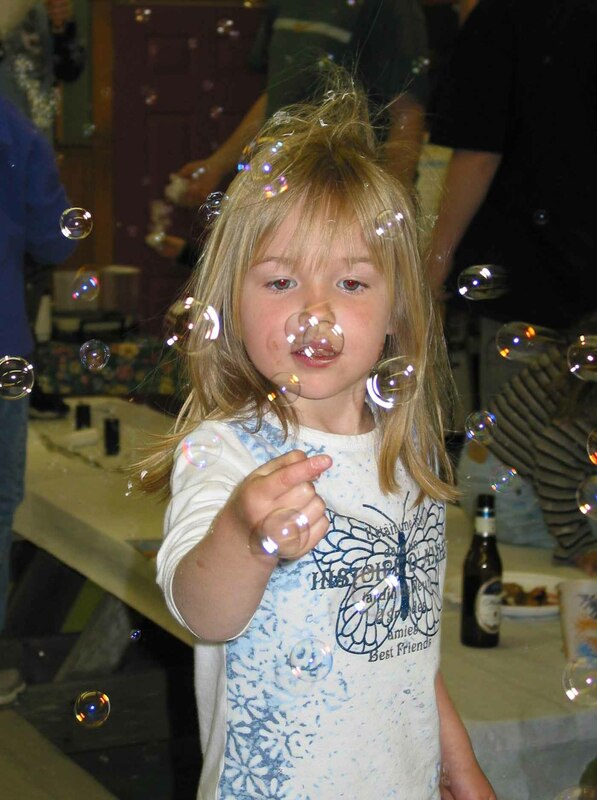 Our children had a great time and thanks for supplying the mother’s day gifts from our children. The flowers were beautiful. We had a great Mother’s Day thanks to everyone at Searsport Shores. See you next year.